Stevenage's appeal to reduce the three-match suspension of striker Tom Hitchcock to one has been successful. 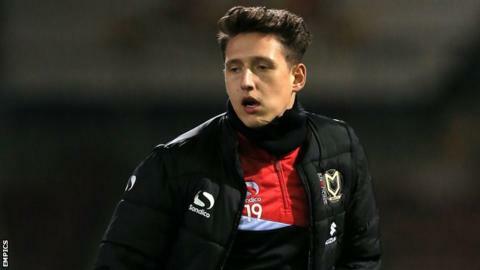 The 22-year-old, on loan from MK Dons, was sent off in injury time of his Boro debut against Notts County in League Two on Saturday. As the club successfully appealed against the severity of his ban, Hitchcock's ban was served during Tuesday's League Cup defeat by Ipswich. He will now be available for Saturday's match against Newport. Can domestic speedway be saved? Read more on Does speedway have a future in the UK?